Ye olde interwebs has recently been sent a-Twitter over Yahoo’s accidental release of the official music video to Taylor Swift’s “Blank Space”, a kind of Lorde-y, snappy single from her forthcoming album 1989. Which was a pretty big boo-boo considering that the existence of the video had been heretofore intentionally kept secret, and that Swift had planned to do a big reveal on Good Morning America today. Her team dealt with it by putting it up a day early themselves, and all is still well in the universe because the video is brilliant. T-Swift has been the source of both mass public scorn and hype since she was but a C-D-Em-G-strumming teen, but somehow she manages to keep her fist clasped tightly around the dice that determine her pop-star fate. And so we got to thinking… Tay-Tay is kind of a Wonder Woman herself, isn’t she? Here are seven reasons why. 1. Taylor Swift is a mythical Amazon. 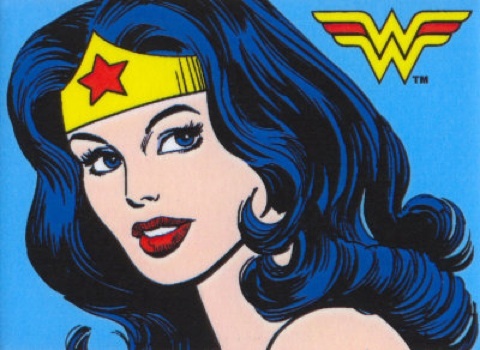 It’s common comic-world knowledge that Wonder Woman comes from a physiologically gifted line of female warriors known as Amazons, known for their tall stature. Swift stands at a well-above-average 5’11”, which scored her modeling gigs as a pre-pop star Tennessee teen. 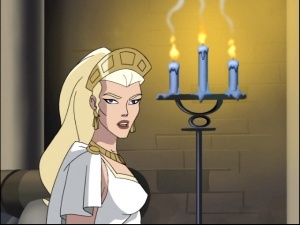 Based on the mythical Amazons of ancient Greek lore, the DC Amazons are ruled by the fictional Queen Hippolyta (and mother of Wonder Woman), whose hair morphs from a dark to flaxen shade with the evolution of the series. Swift, an obvious blondie, could easily be a long-lost descendant of these badass warrier ladies. 2. Swift takes out foes with her own Lasso of Truth. One of the reasons why the video for “Blank Space” and the song itself have been praised is that Taylor has taken media criticism of her dating history and thrown it right back into their proverbial faces. She’s in on the joke that she’s dated around Tinseltown and the movie and music industries, with lines like “Got a long list of ex-lovers / They’ll tell you i’m insane”. Tay looks the bull straight in the mouth and flashes her own lipsticked smirk because she’s unafraid of reality like that. 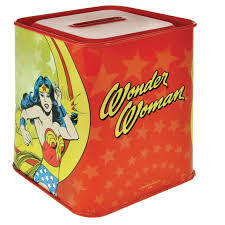 Similarly, Wonder Woman’s Golden Lasso forces anyone it wraps itself around to obey her wishes and tell the truth. It’s a pretty perfect metaphor for how T-Swift maintains her hold on the music industry and blocks out the haters. 3. Tay-Tay has a healing factor as a superheroine ability. A healing factor is commonly known as a fictional superhero or superheroine’s ability to, well, heal themselves — but at a totally rapid, superhuman rate. It’s one of Wonder Woman’s key abilities and secrets to her strength, and all sources point to the fact that T has been #blessed with this in real life. Despite the massive media scrutiny surrounding her very public breakups with a significantly younger Harry Styles of One Direction and a hella older John Mayer, she has kept her cool and managed to not undergo a Britney shaved-head episode circa 2007 (side note: we don’t blame you, Brit). Despite the emotional trauma that these breakups must have caused the 24-year-old, she kept on truckin’ and went on to earn close to $40 million in 2013. 4. T has a not-so-secret weakness. Like all superheroes and superheroines, Tay herself has also made some career faux-pas when it comes to her otherworldly (songwriting) abilities. She’s come under fierce fire from music critics and feminist bloggers alike for relying substantially on her own dating life for song material, making her catalogue into a mass of teen-friendly sweet-as-pie/I’m-ripping-my-picture-from-my-locker-door heterosexual love ballads. It’s true that his has been a creative crutch of hers that has made some of her work pretty bland and predictable, but she’s acknowledged that it’s there and that she’s growing up, too. In the late 1960s, Wonder Woman chooses to revoke her abilities and not accompany her Amazon sistren into another dimension, choosing instead to operate on a pseudo-human level in the “Man’s World”. But she’s still proactive, acquiring a mentor from the Far East who hones her fighting skills. This is proof that both Wonder Woman and T-Swift are able to “Shake it Off” and move past their moments of weakness. 5. T-Swift, like Wonder Woman, favors a signature red lip. What’s the last thing you would want your nemeses to see before you knock them out in the name of justice? A flying, cherry-red blur just as they see stars, of course! From the Golden Age to The New 52, Diana has been outfitted in primary colors and bright-red boots to complement the hue of her lips. Besides her voluminous dark hair, her lip shade has been one of her trademarks. Like Wonder Woman, Tay has favored a 20th-century “retro” aesthetic when it comes to her look, and this wouldn’t be complete without a red lip. Perhaps it’s a vestige of when she went all “1950s Rhode Island summer trust-fund kid” slash “Daisy Buchanan reincarnate” circa the H-Stylez era, but who’s keeping track? She looks old-school glamorous wherever she sports the shade, much like her superheroine counterpart that has sported similarly classic looks since 1941. 6. Wonder Woman can get into country-girl mode, too. 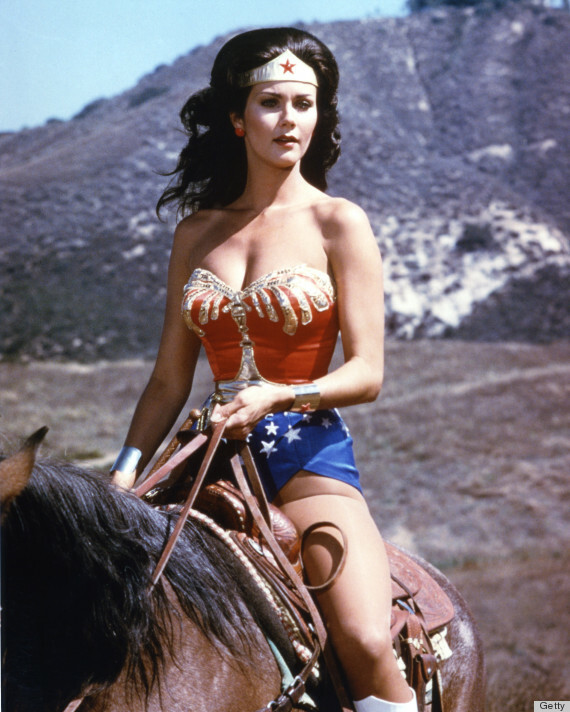 Behold this still from Lynda Carter’s historic portrayal of Wonder Woman in the late-1970s TV series. Perched atop a horse amidst mountains that could easily be in America’s South, Diana is ever-strong and looks amusingly at home in such a rural setting. Since it’s been well-circulated that T grew up wholesomely on a Christmas-tree farm in Tennessee, we bet these two gals would be the best of world-saving pals. 7. Taylor Swift has borrowed part of Wonder Woman’s moniker for herself. In 2011, Tay launched her first perfume in conjunction with well-known cosmetics manufacturer Elizabeth Arden, and that perfume was called nothing other than “Wonderstruck”. Yeah, yeah, so some would say that it’s an obvious allusion to a line in her 2010 single “Enchanted“. But is it really a coincidence? Not to go all Illuminati-conspiracy-theorist on you, but we think not. There you have it. Taylor Swift = Wonder Woman. Do you agree? ← Hasbro and Disney bring you the Star Wars Rebels series!